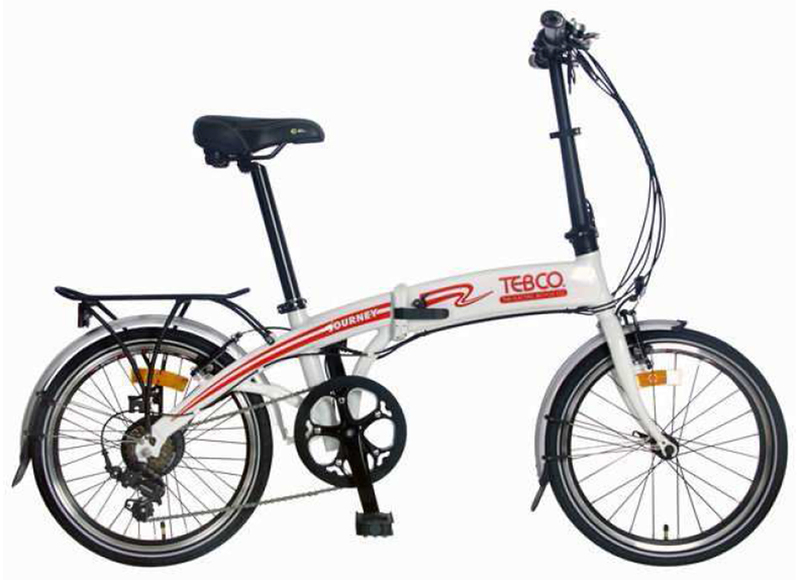 The Journey from TEBCO is a folding electric bicycle that is one of the best we’ve tried – hence why we stock it. It has a battery integrated into the frame, a rear hub motor and both throttle and pedal assist control. If you are looking for a high quality electric bicycle on a budget that comes with warranty and a lot of Australian input into its construction then please come in and take this one for a ride. TEBCO have been in the electric bicycle industry longer than anyone in Australia and have concentrated heavily on folding models and this one really stacks up. Nice additional features are an integrated alarm key ring control to turn it on and off. It’s a zippy little thing that seems to have a fair amount more power and riding stability than most of the other rickety folding ebike models we’ve tried.